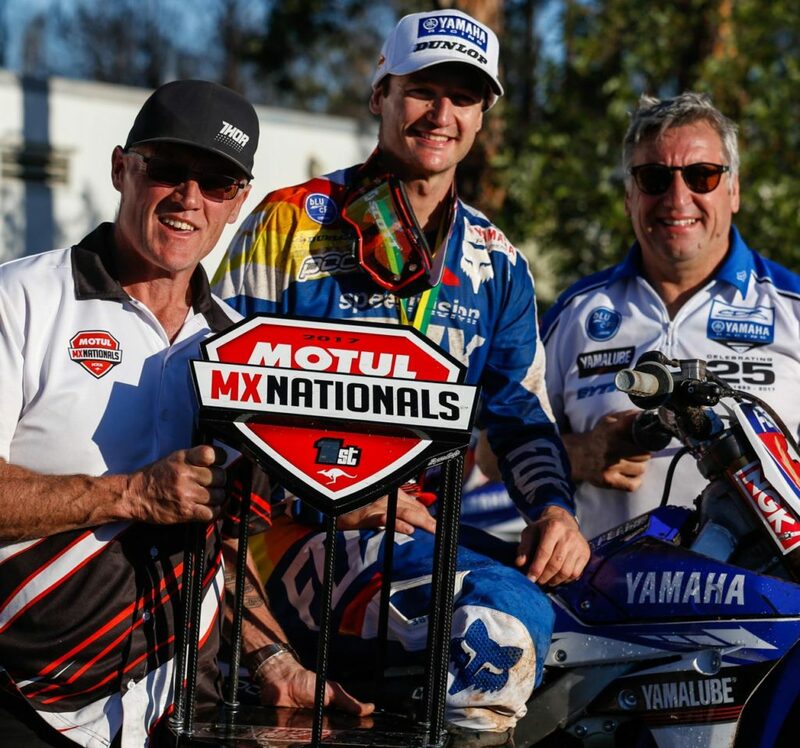 The 2017 Motul MX Nationals officially wrapped up at Coolum on the Sunshine Coast with CDR Yamaha’s Dean Ferris concluding the season in epic fashion, leaving Round 10 undefeated and as Australia’s 2017 Thor MX1 Champion. 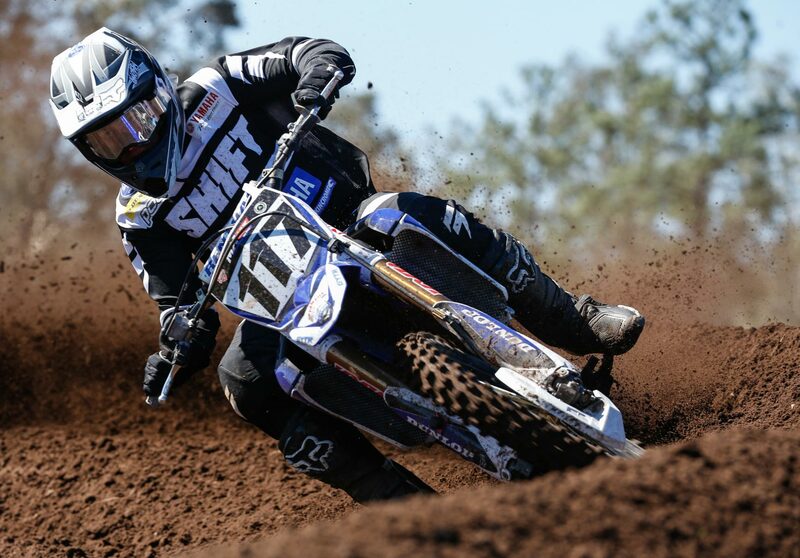 With Ferris wrapping up first place in the Thor MX1 Championship last weekend at Toowoomba, it was second and third in the standings that riders were racing for at Coolum. With 20 minutes on track for riders to qualify this morning, the premier class competitors threw down lap after lap in the hope to secure entry to the final GoPro Superpole of the season, and at the conclusion of the session it was, CDR Yamaha’s Ferris, Kirk Gibbs (KTM), Crankt Protein Honda Racing Team’s Todd Waters, Dylan Long (Yamaha) and KTM’s Luke Styke who’s times granted them entry to Superpole. 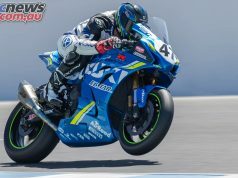 However, after an on-track incident on Saturday, Waters was relegated three positions at the conclusion of qualifying this morning, pushing him out of Superpole and handing the final spot to MEGA Bulk Fuels Monster Energy Kawasaki’s Nathan Crawford. Once each rider had thrown down their flying laps, it was KTM’s Gibbs who topped the times and collected his first GoPro Superpole win of 2017 with a 1:44.129 lap time, and an additional three championship points. 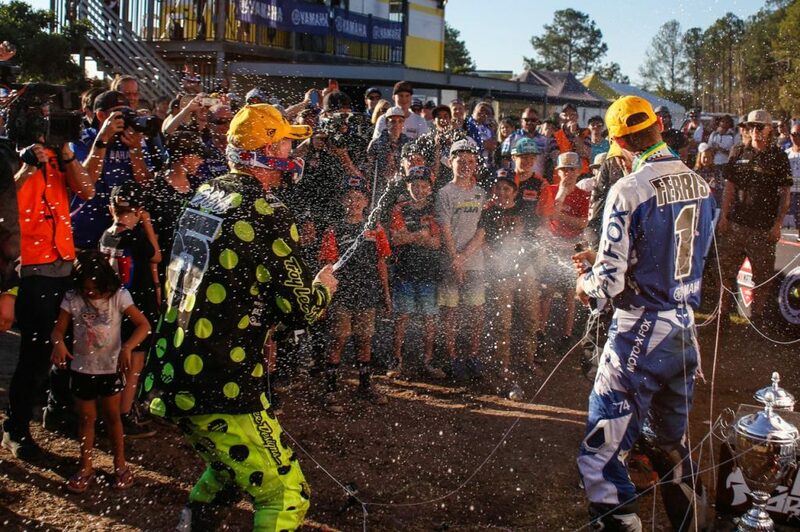 By the time the premier Thor MX1 class lined up for moto one, the Coolum Pines Motocross venue had been flooded with spectators, setting the scene for one epic grand finale. 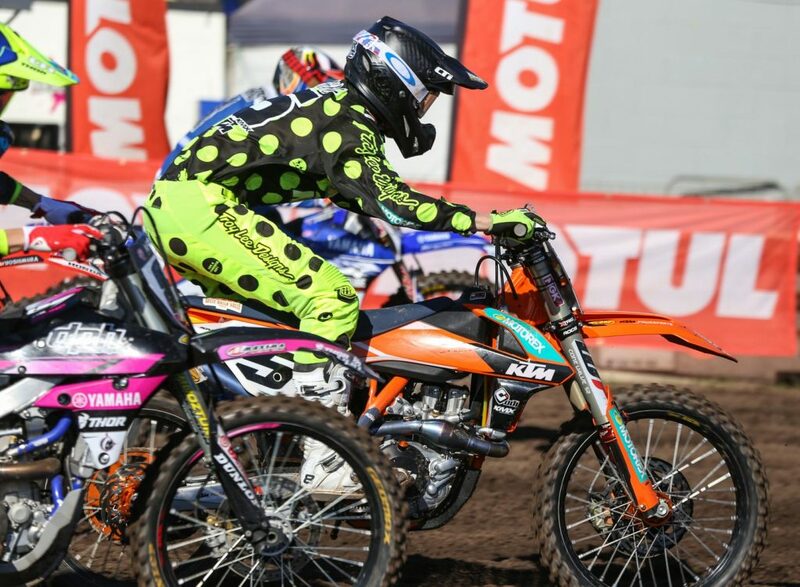 When gates dropped, it was Ferris who took the Raceline holeshot and charged in to the race lead ahead of DPH Motorsport’s Kade Mosig, Long, and Honda mounted Waters. After a lap on track it was Waters who captured the crowd’s attention, the Crankt Protein Honda Racing Team rider charging from third up to the race lead, relegating Ferris to an unusual spot – second position. Behind the top three riders of Waters, Ferris and Mosig after three laps, was CDR Yamaha’s Long in fourth followed by Crawford and a hard charging Gibbs, who was desperately trying to navigate his way through the field to maximise his opportunity to secure second in the championship. Unfortunately for Crawford, a small crash at the four lap mark saw him drop back to ninth, relieving Long and Gibbs from any threat that the Kawasaki rider previously posed. From there, unfortunately, Crawford’s day went from bad to worse. Only a lap later the rookie MX1 rider came off in a big way, then forced to return to the mechanic’s area before re-joining the race in last position. By the seven lap mark, Waters held just a four bike length lead from Ferris, while behind the 2017 champ was Mosig who continued to hold third position from Long and Gibbs. By the halfway mark, Ferris had regained control of the race, forcing Waters back in to second, while behind Mosig, Gibbs had managed to get by Long and was now sitting comfortably in fourth position. 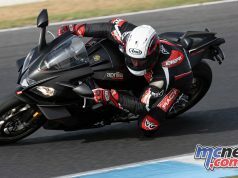 Meanwhile both Clout and Crawford were early exits from moto one – Clout suffering a mechanical, while Crawford left the track clutching his left arm. After lap 11, Gibbs began to put his foot down, and it wasn’t long before the GoPro Superpole winner made the move on Mosig and slotted in to the final podium spot behind Ferris and Waters. And from there Gibbs well and truly went after Waters. 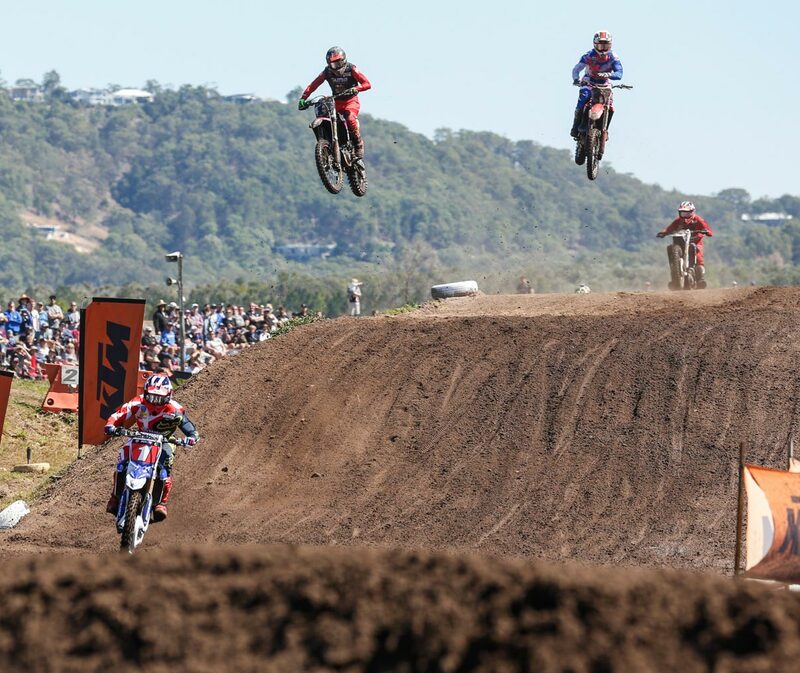 With Ferris out in front, by the time riders approached the final laps of moto one, the attention was firmly on the battle for second between Waters and Gibbs, the former team mates going head to head for a number of laps. And with two laps remaining, Gibbs made a move stick, passing Waters and slotting up into second position. 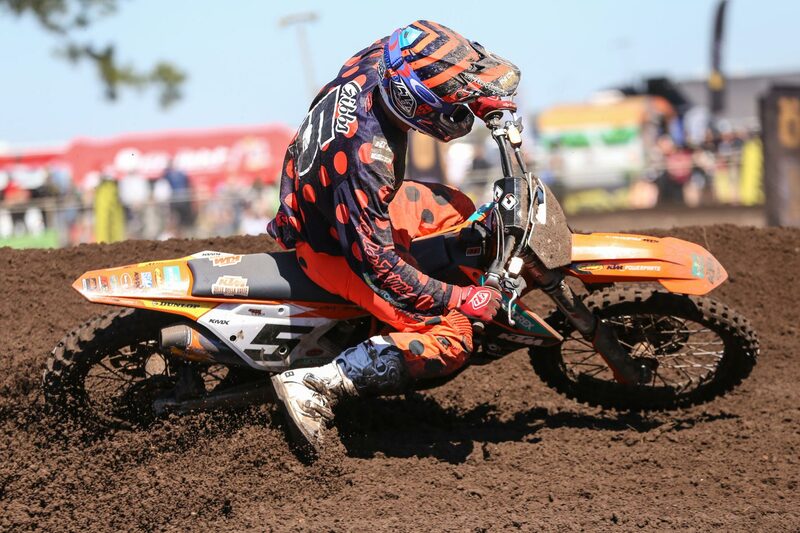 However unfortunately for Gibbs, his time is second position was short lived, the KTM rider swapping out in a roller section of the track, handing second back to Waters. And when the chequered flag flew it was Ferris who claimed the moto one win, second place went to Waters, while Gibbs was forced to settle for third. Mosig wrapped up race one in fourth position ahead of Long, Metcalfe and Kyle Peters, while Styke, Hamish Harwood, and Joel Milesevic completed the top ten. 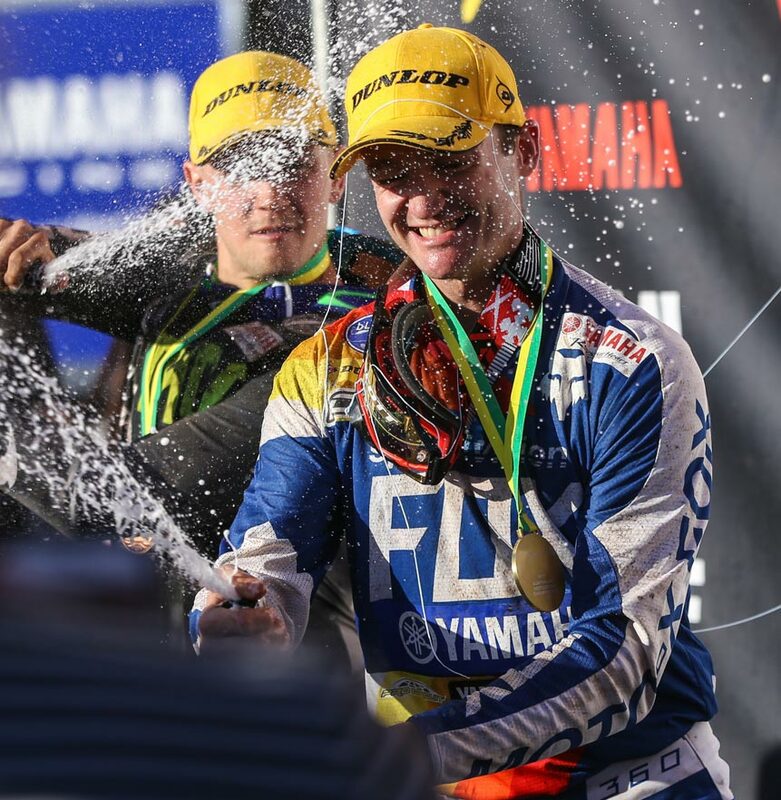 When the MX1 bikes headed to the line for the final time at Coolum, there was a sense of excitement among spectators, who were about to witness the final positions in the championship awarded. 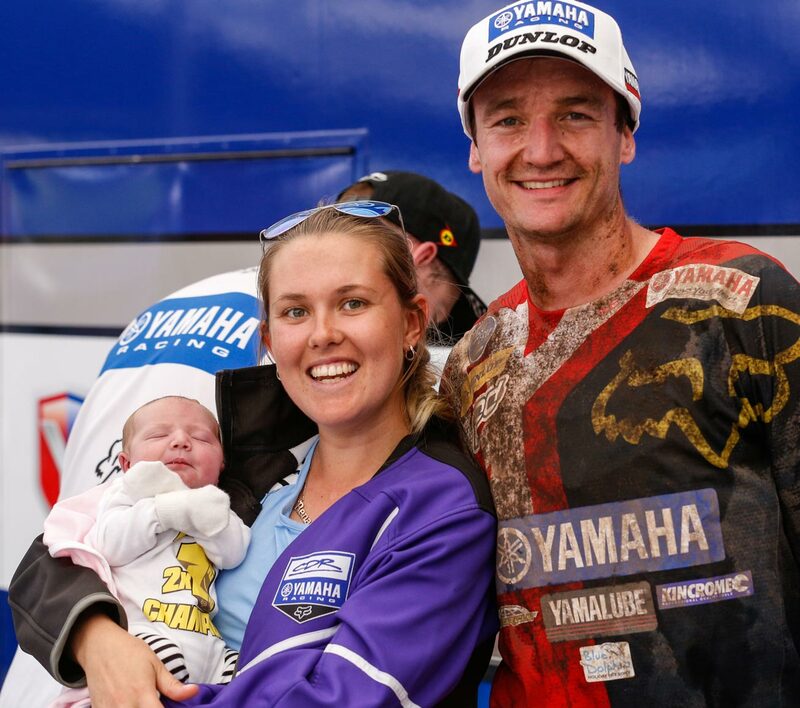 When bikes stormed down the start straight for the final time, it was Ferris who once again took the Raceline holeshot, and within only a lap the CDR Yamaha rider had stretched out his lead to a couple of seconds, from Gibbs and Waters. 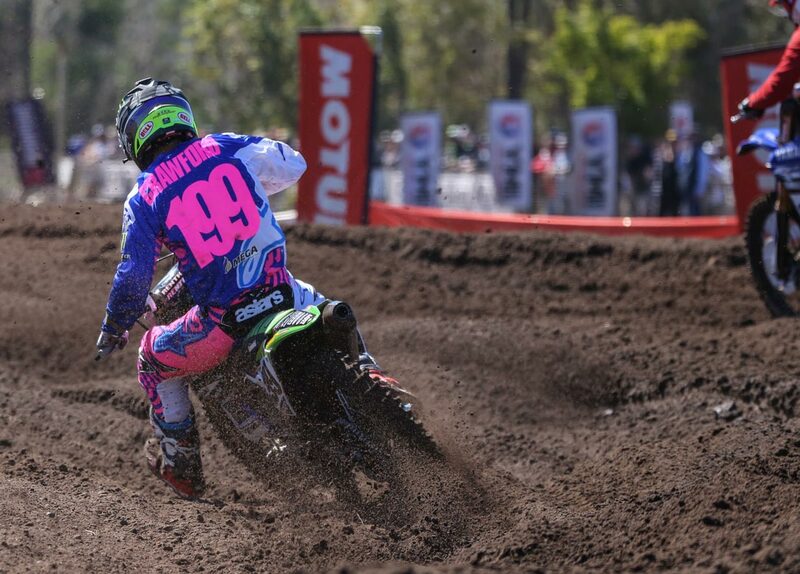 After two laps, Gibbs soon had his hands full with a hard charging Waters hot on his tail, and within only a short time, the Crankt Protein Honda Racing Team rider had made the move up in to second. 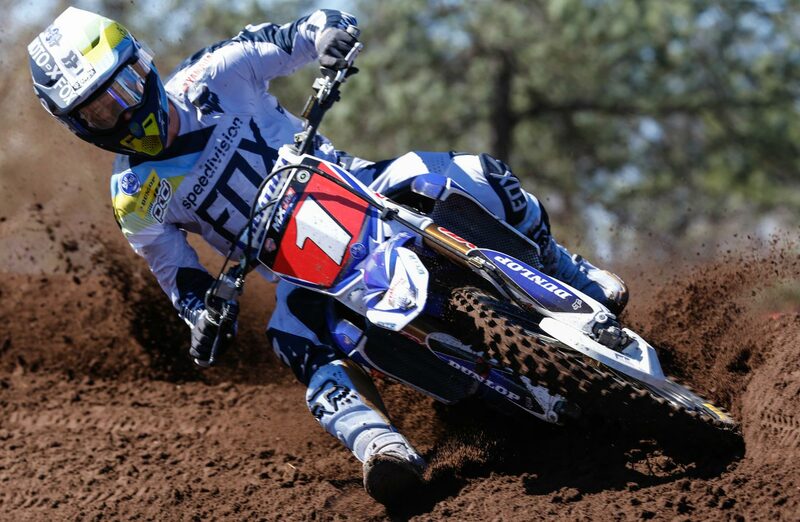 Behind the top three, Mosig led the charge for fourth followed by Long, Metcalfe and MXD regular, KTM’s Callum Norton. 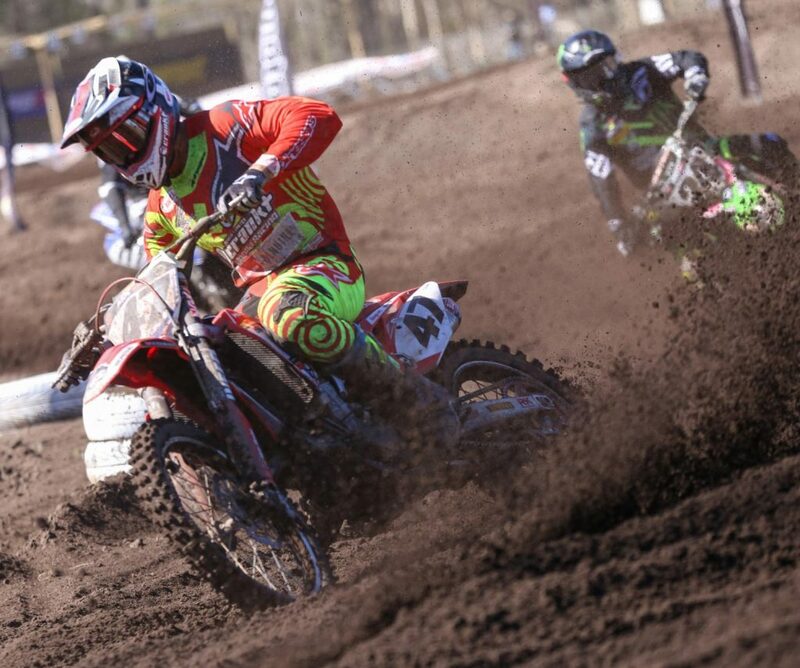 Unfortunately for rookie MX1 rider Clout, a crash during the opening laps saw his day end early – the Crankt Protein Honda Racing Team rider headed back to the pits, registering a DNF. As race two progressed, it was no shock to see CDR Yamaha’s Ferris stretching his lead out to more than five seconds on second placed Todd, while behind the Honda rider Gibbs continued to hold down third position ahead of Mosig and Long. And by the seven lap mark, Ferris’ lead became nothing shot of commanding. 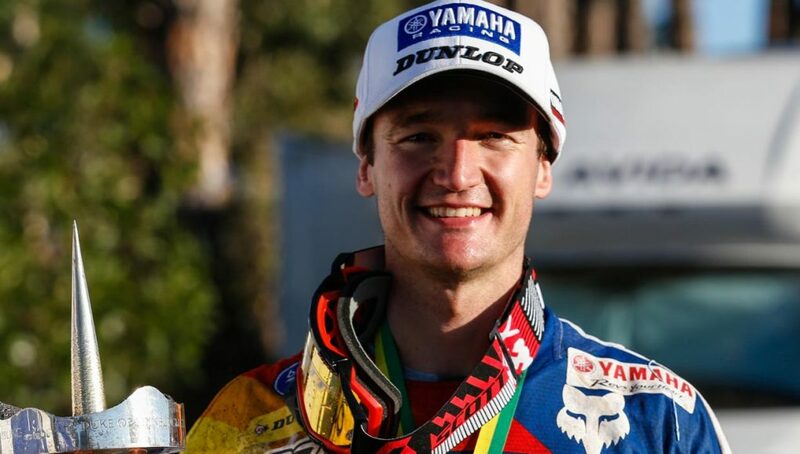 On the same lap, the fight between Mosig and Long began to heat up – the CDR Yamaha rider closing in on his fellow Yamaha competitor, and soon after the pair had found eachother on track, Long made the pass and moved up to fourth position. 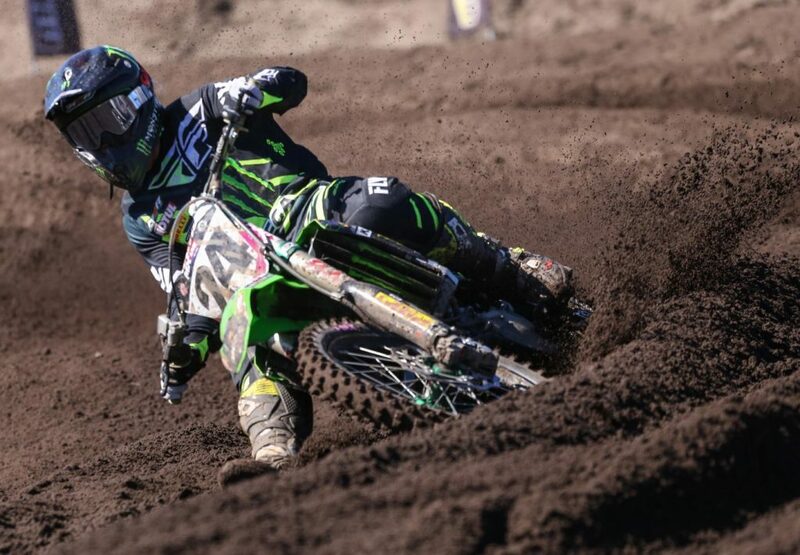 Unfortunately for Mosig the drama didn’t stop there, soon after Long had made the move, the Victorian rider continued to drop positions, allowing the likes of MEGA Bulk Fuels Monster Energy Kawasaki’s Metcalfe by too. 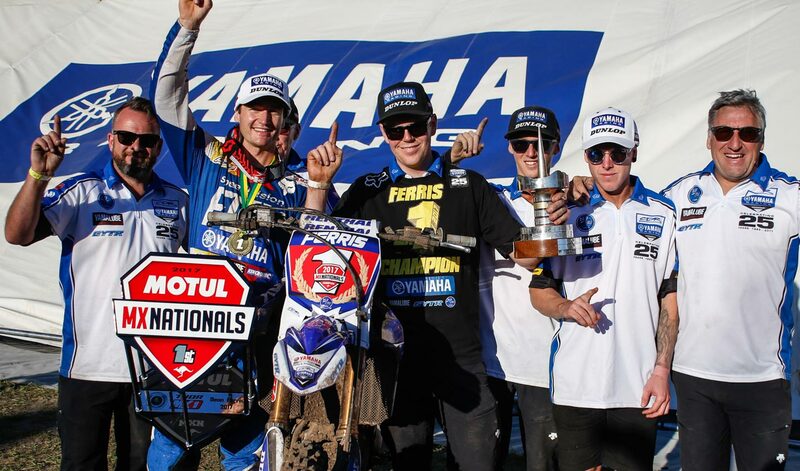 In the closing stages of moto two at Coolum it was clear that Ferris was determined to leave the venue unbeaten once again, the 2017 Champ looking more at home than ever in control of the MX1 final moto. 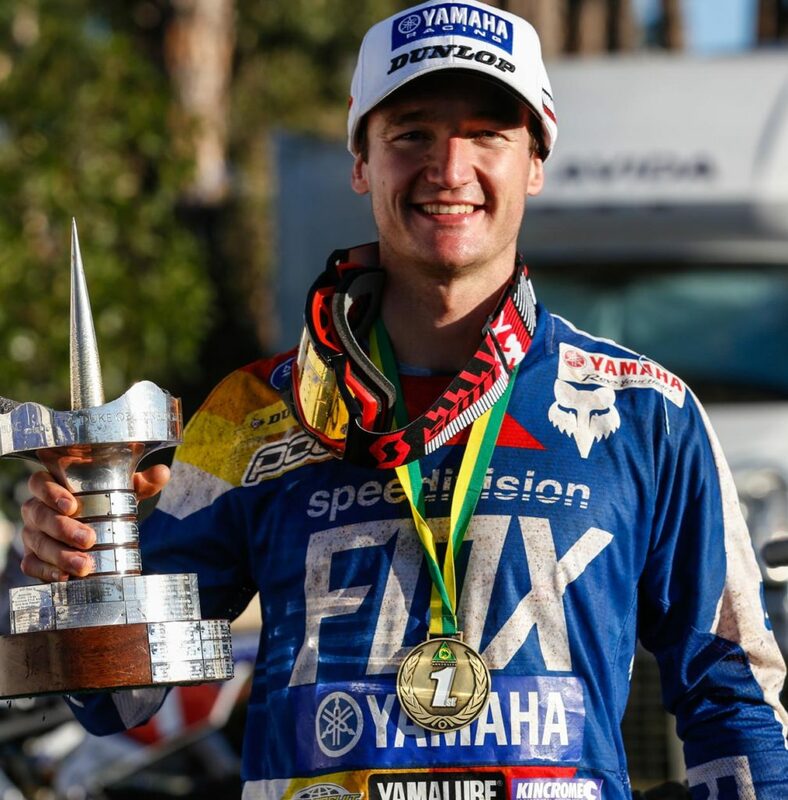 And when bikes crossed the finish line for the final time today it was Ferris who took the final MX1 race victory for 2017. 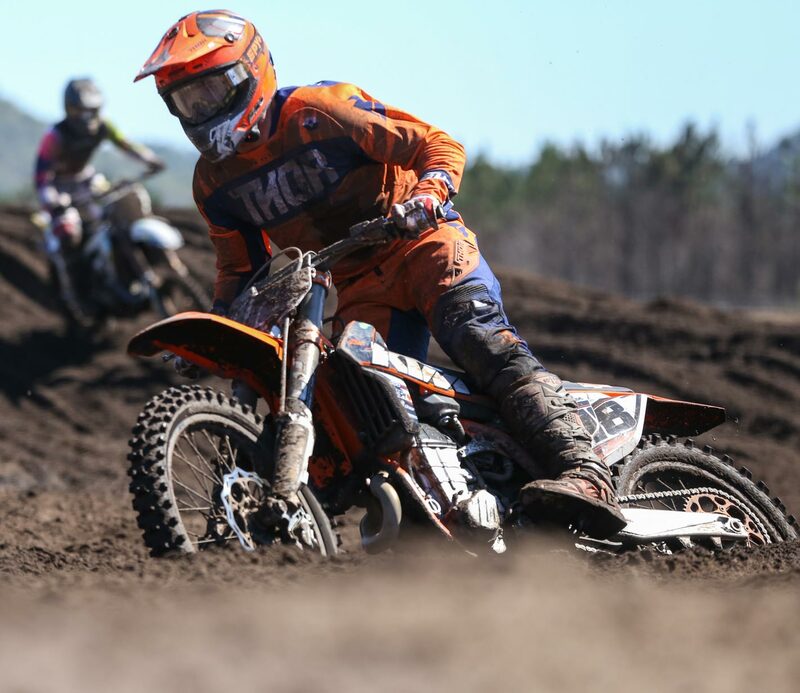 Second place went to Waters, while KTM Motocross Racing Team’s Gibbs secured third. 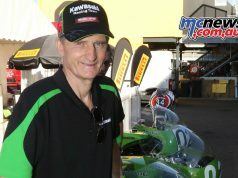 Long took a season best fourth in race two, followed by Metcalfe, Mosig, Crawford, Peters, Styke and Joel Milesevic who completed the top ten. 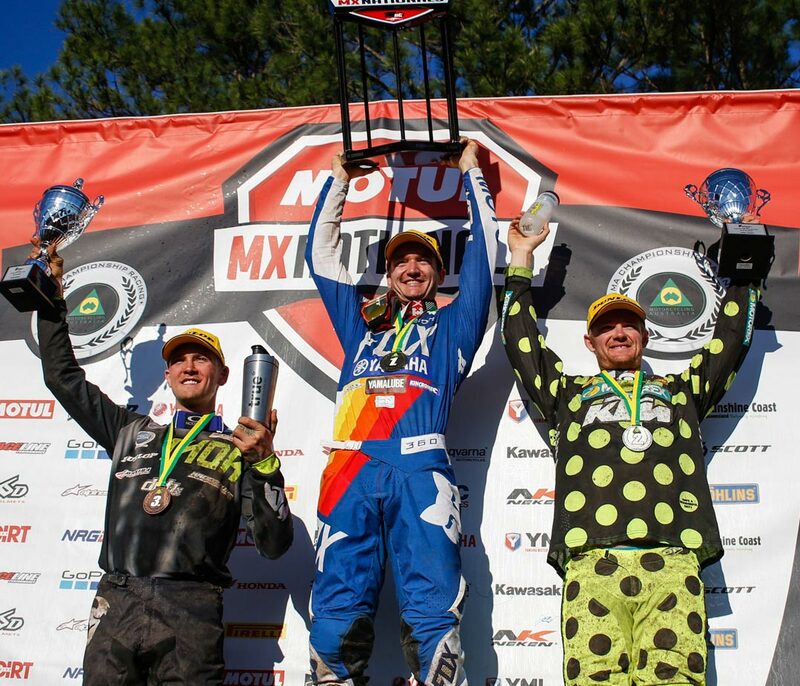 With the results from both motos combined it was once again Ferris who claimed his ninth round victory at Coolum, second overall today went to Crankt Protein Honda Racing Team’s Waters, while Gibbs completed the Thor MX1 podium. 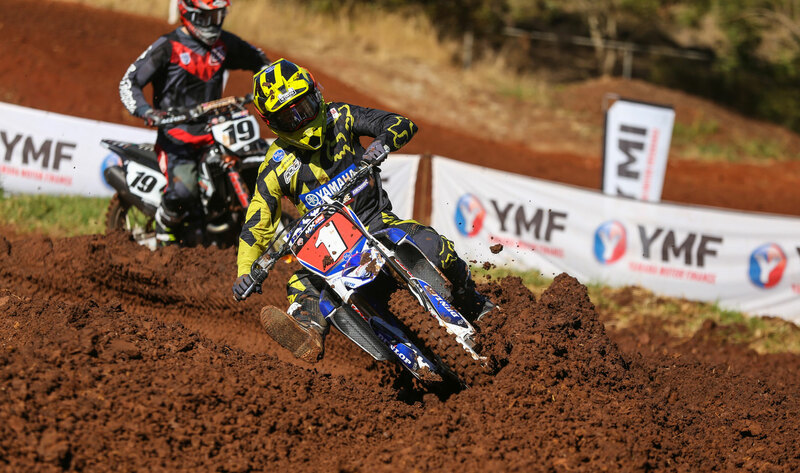 With Ferris crowned the 2017 champion last weekend at Toowoomba, it was Gibbs’ whose consistent results on track at Coolum today which saw him awarded with second in the 2017 Thor MX1 Championship for the second consecutive year, while DPH Motorsport’s Mosig completed this year’s premier class podium.